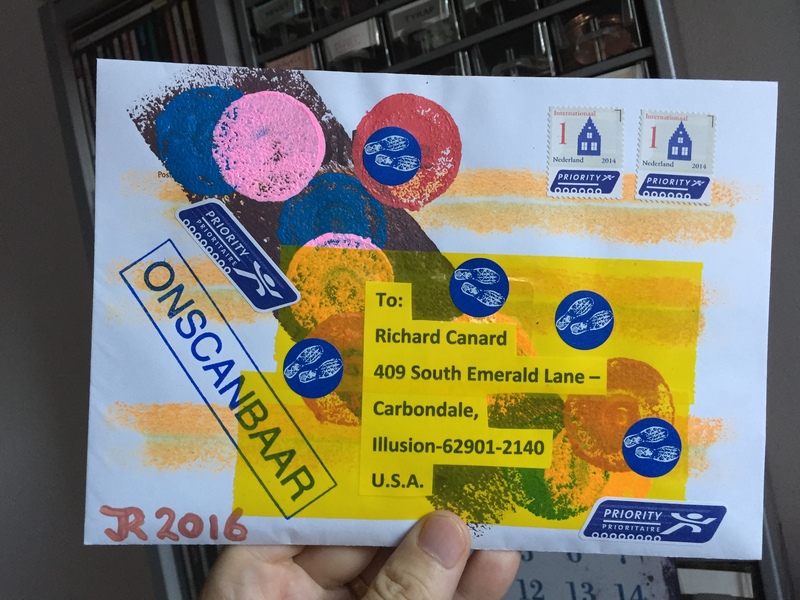 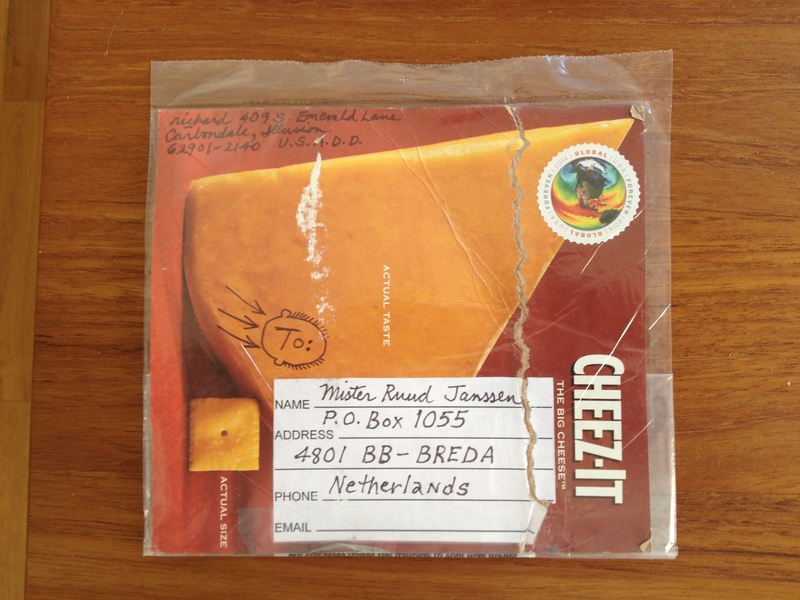 Richard Canard – iuoma.org – Interested in Mail-Art? 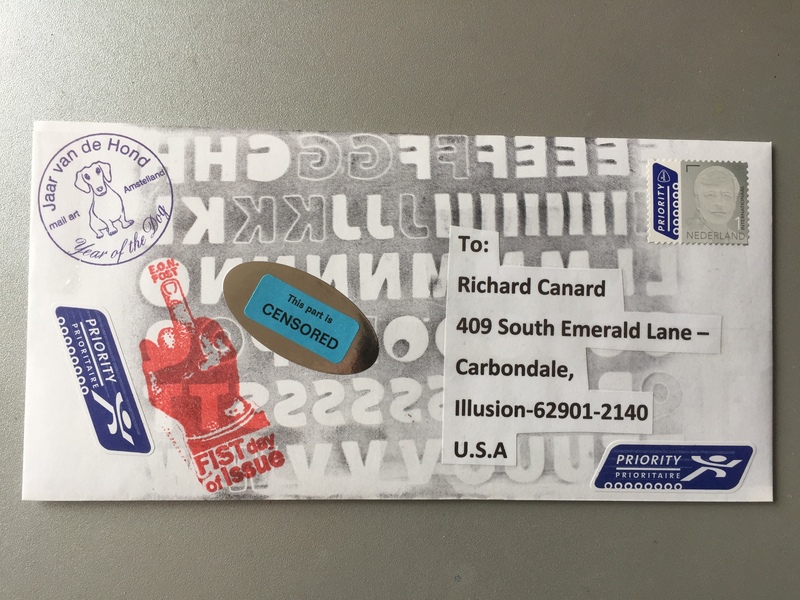 To make the right photo, I had to hold this card by Richard Carard (USA) in the sun to let it shine like it should…. 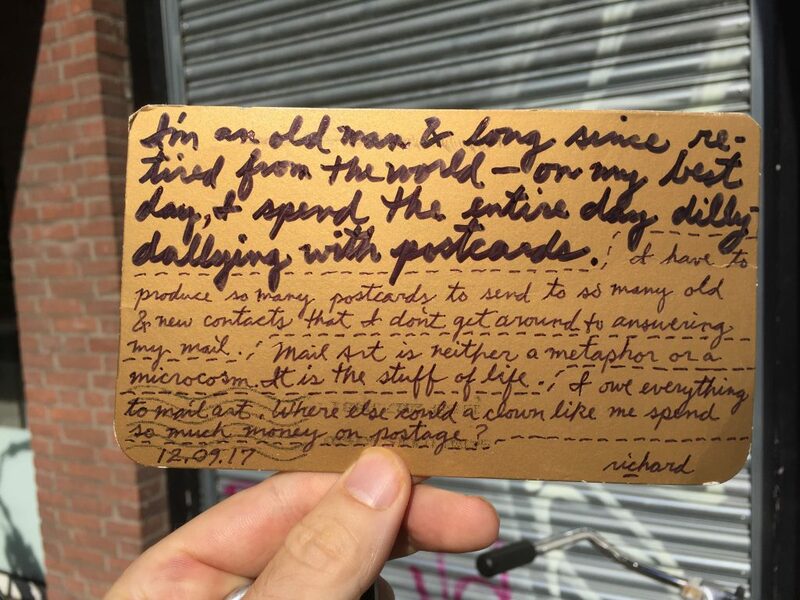 Thank you Richard for sharing these thoughts again. 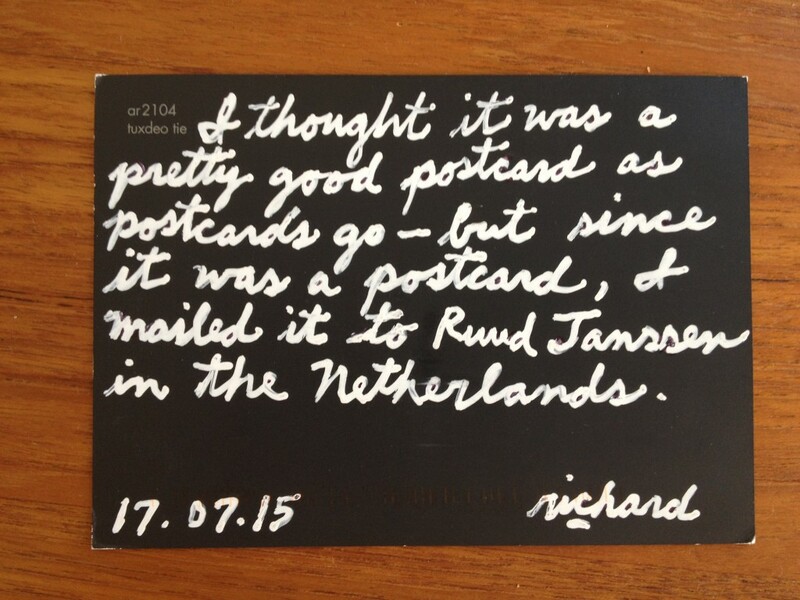 A fine card again from Richard Canard who send his cards on a regular basis. 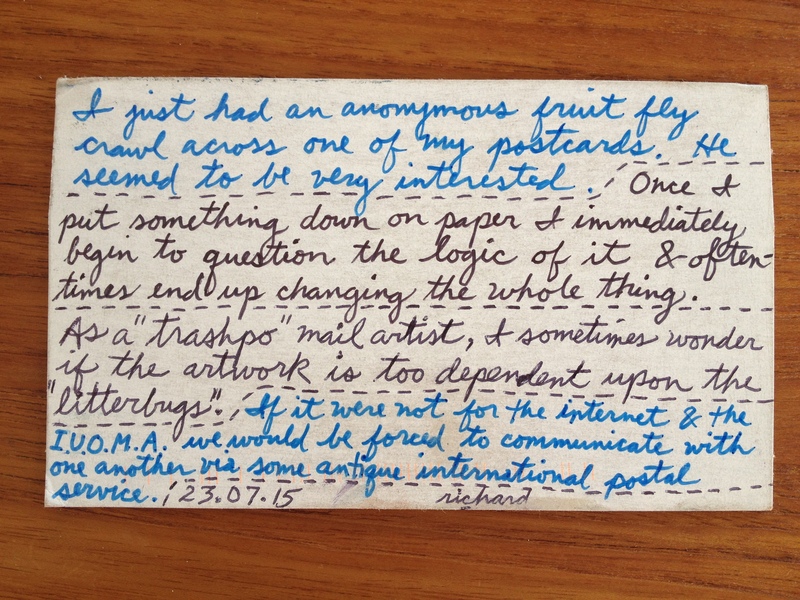 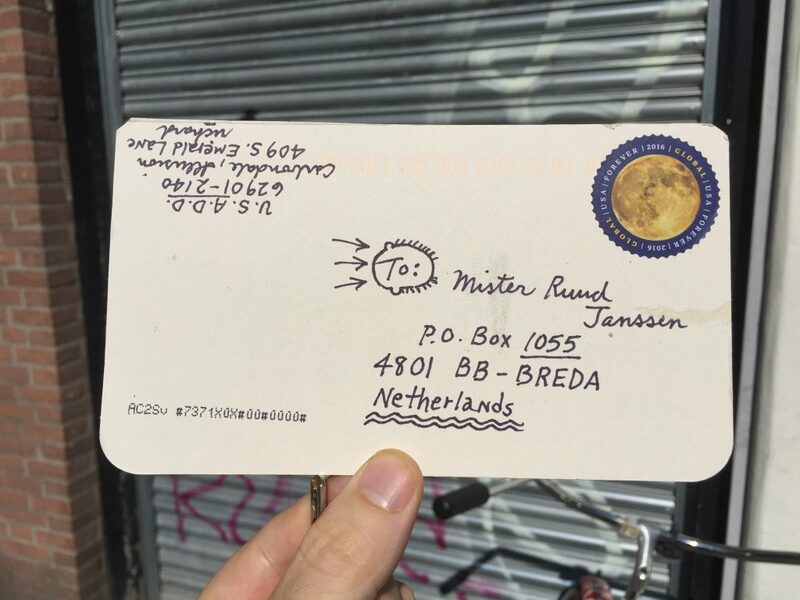 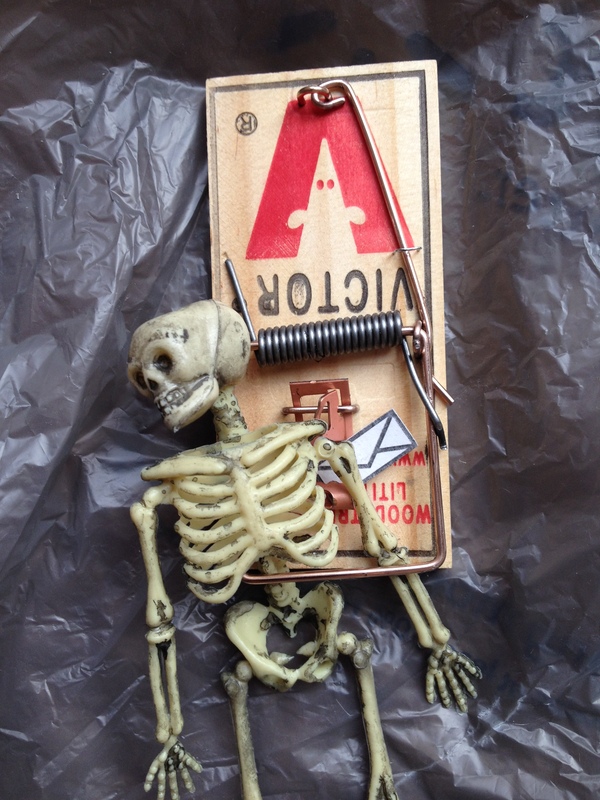 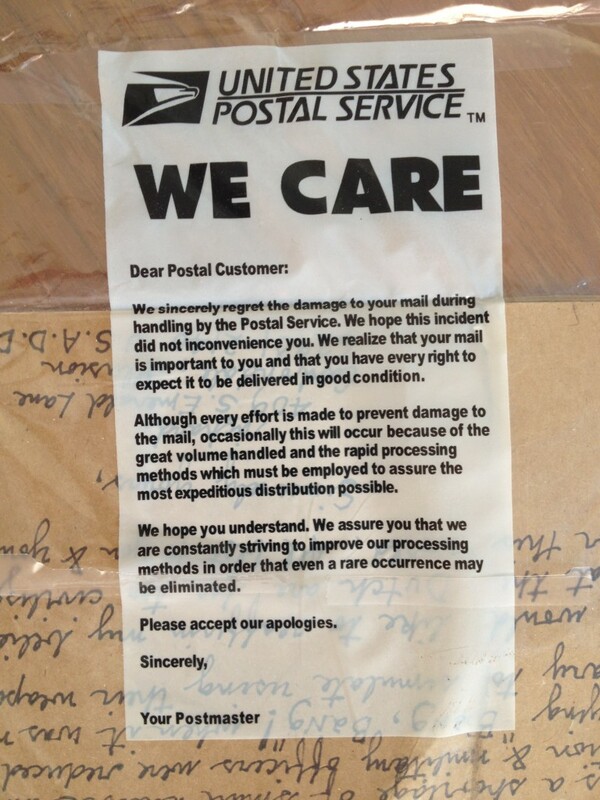 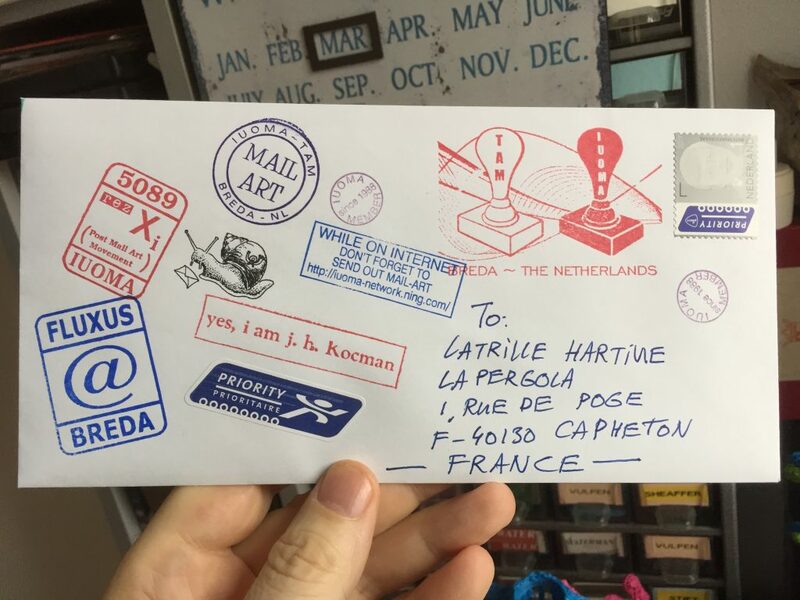 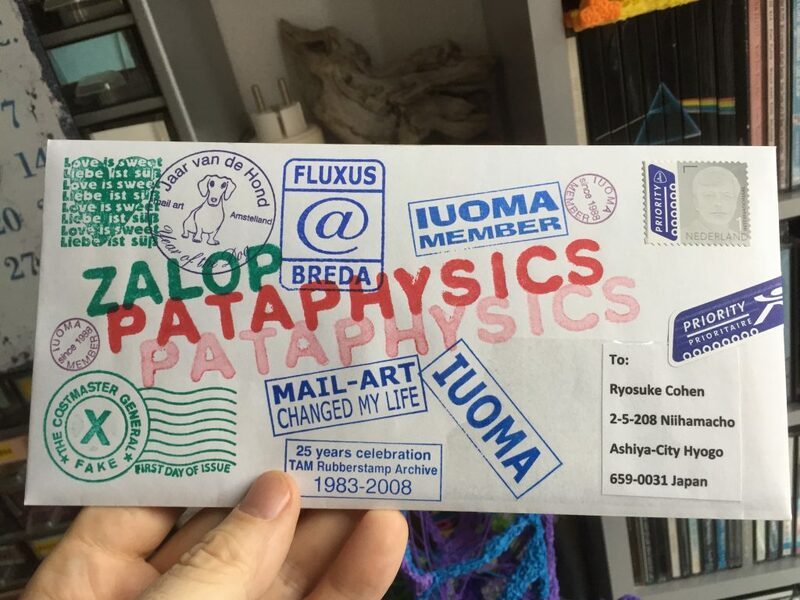 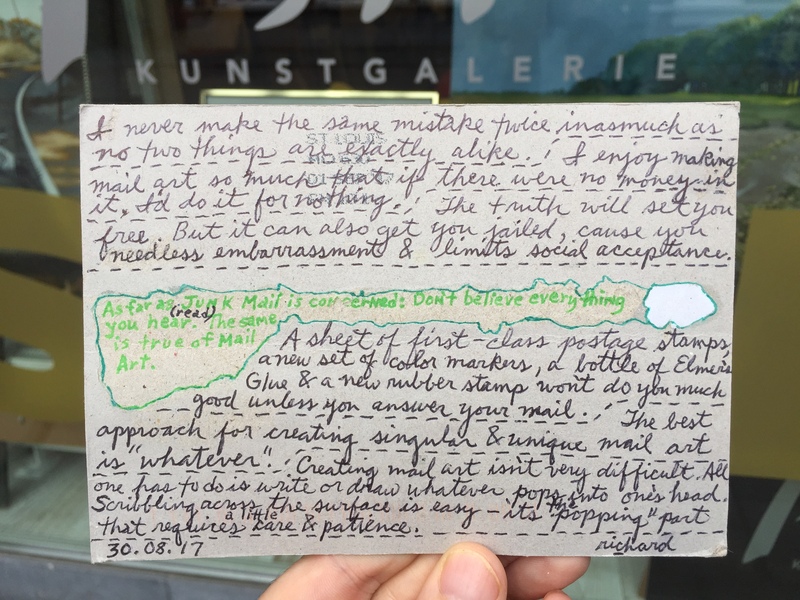 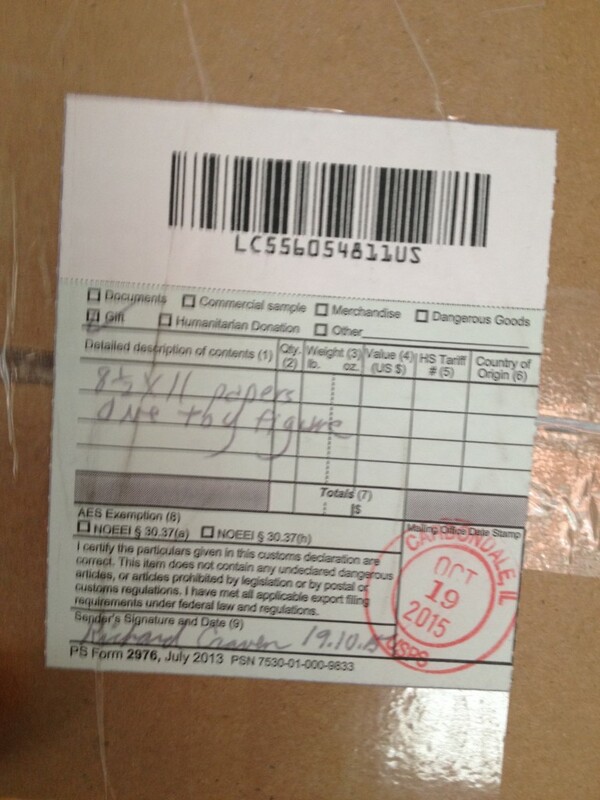 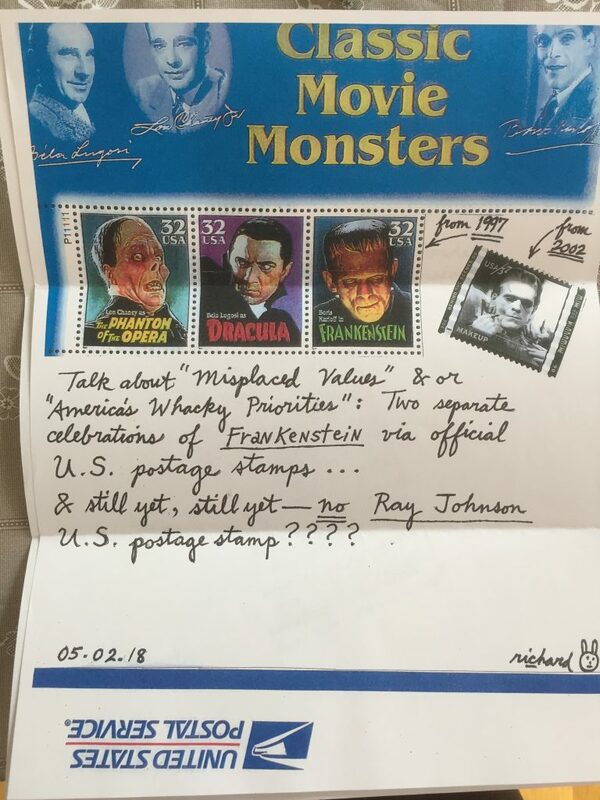 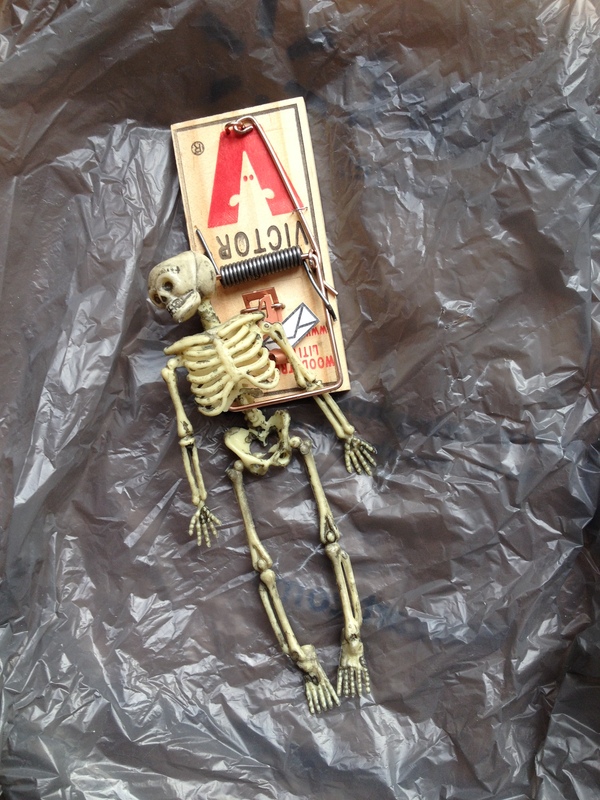 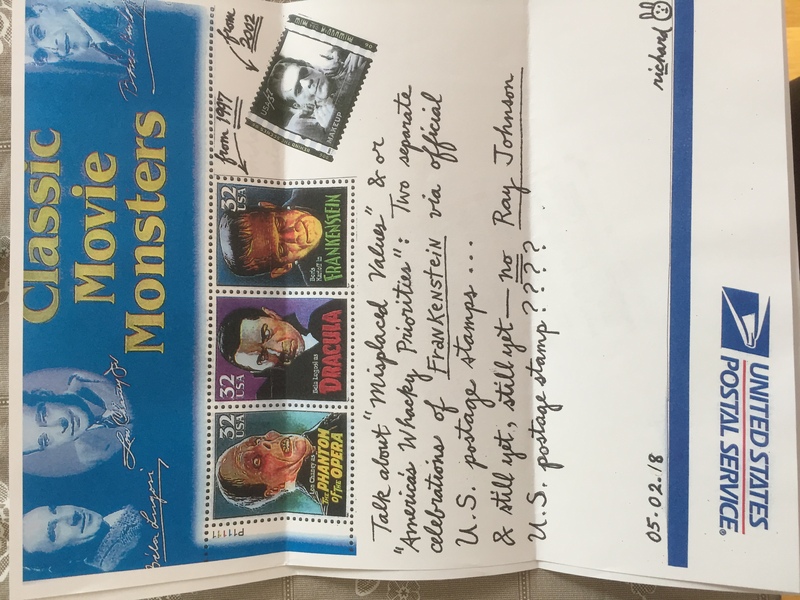 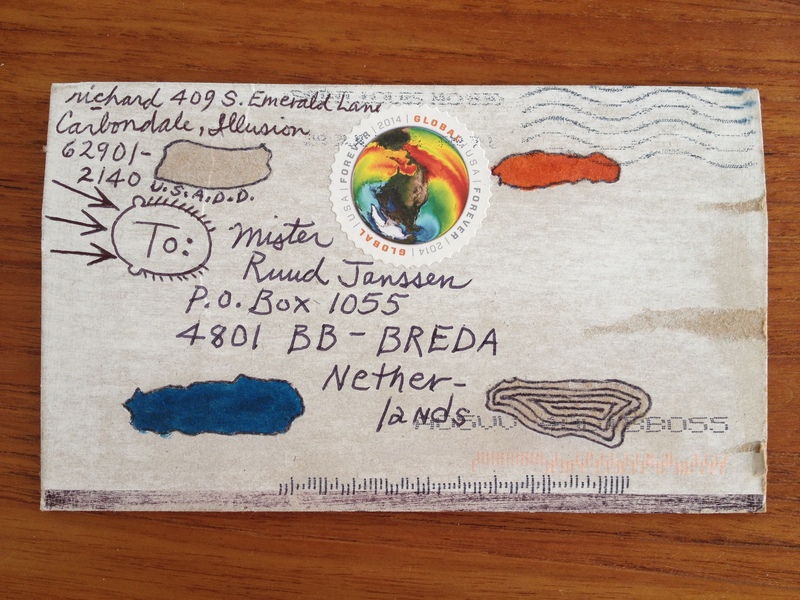 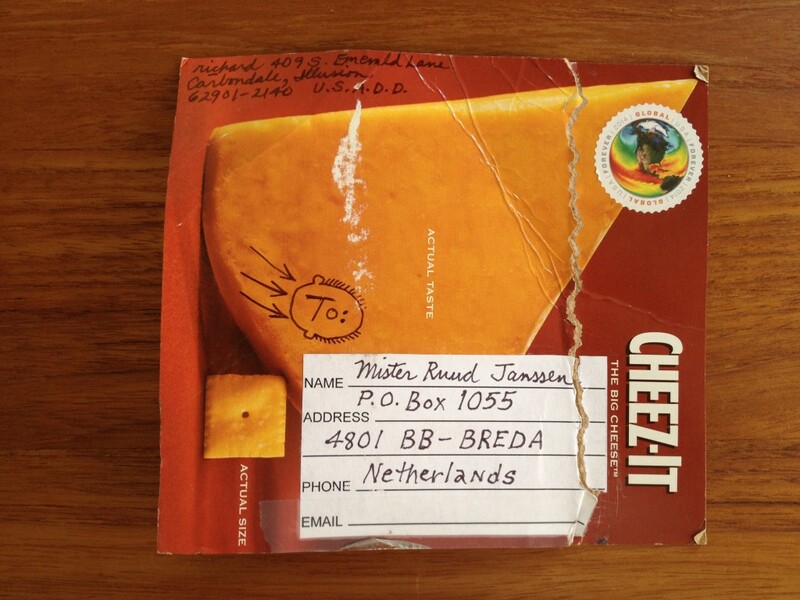 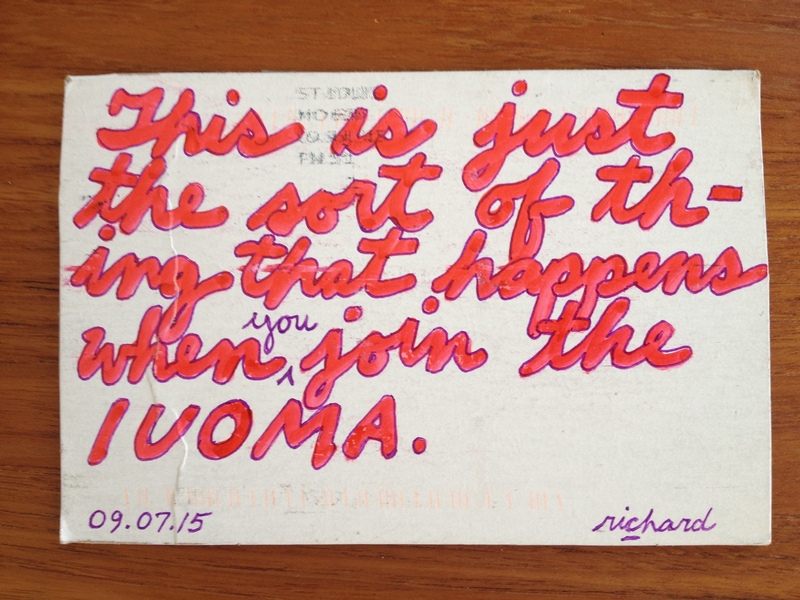 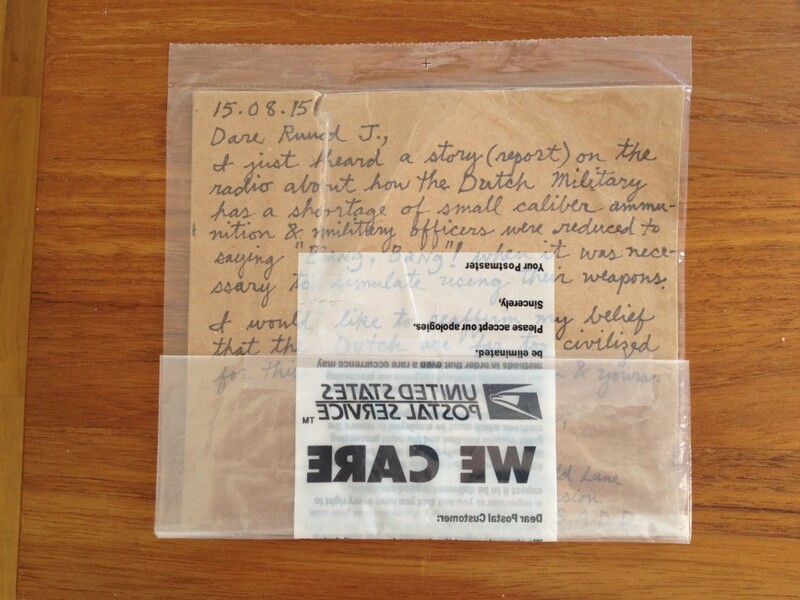 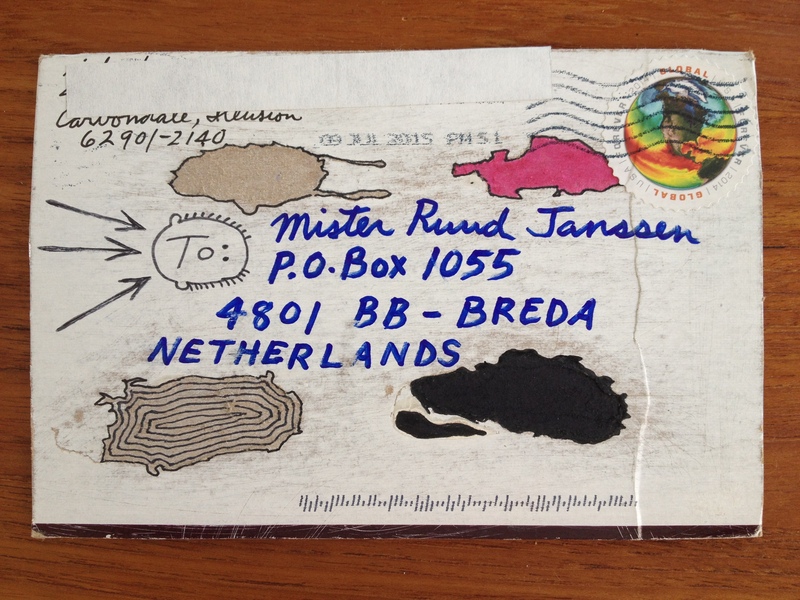 This time also mentioning Trashpo.I agree with Richard, we keep on doing Mail-Art without knowing why….. 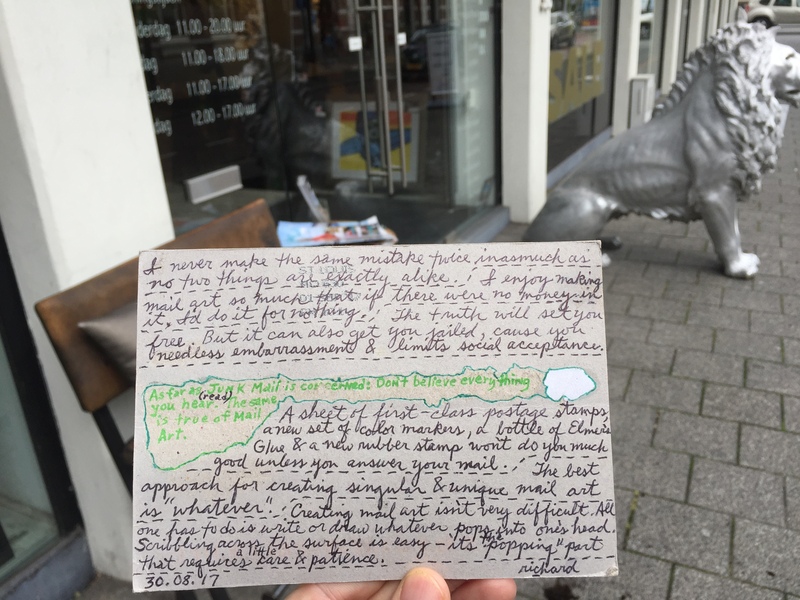 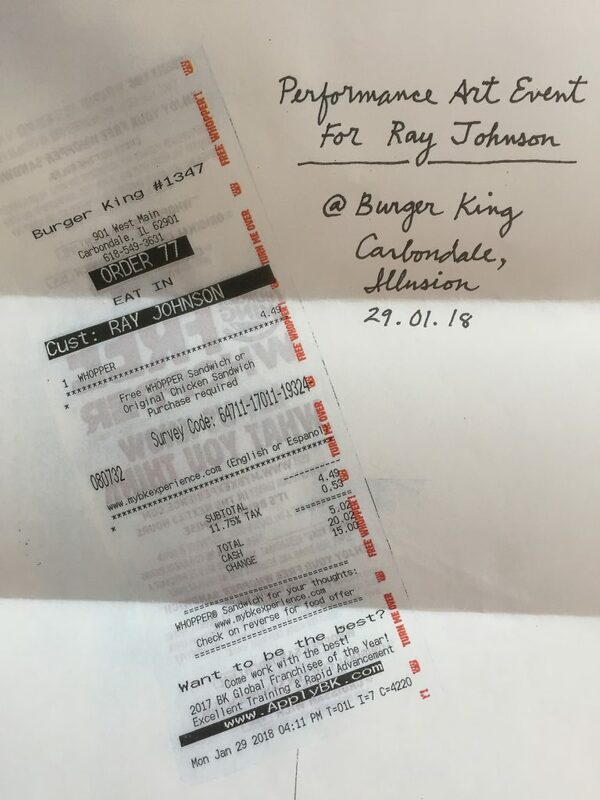 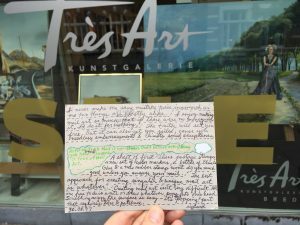 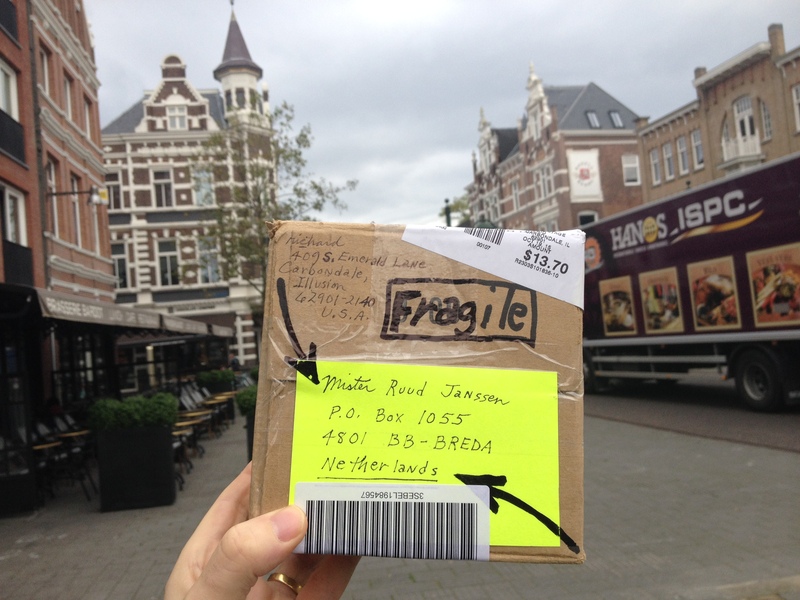 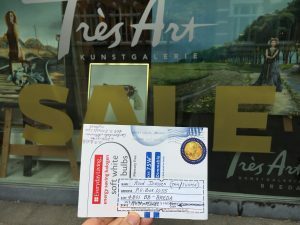 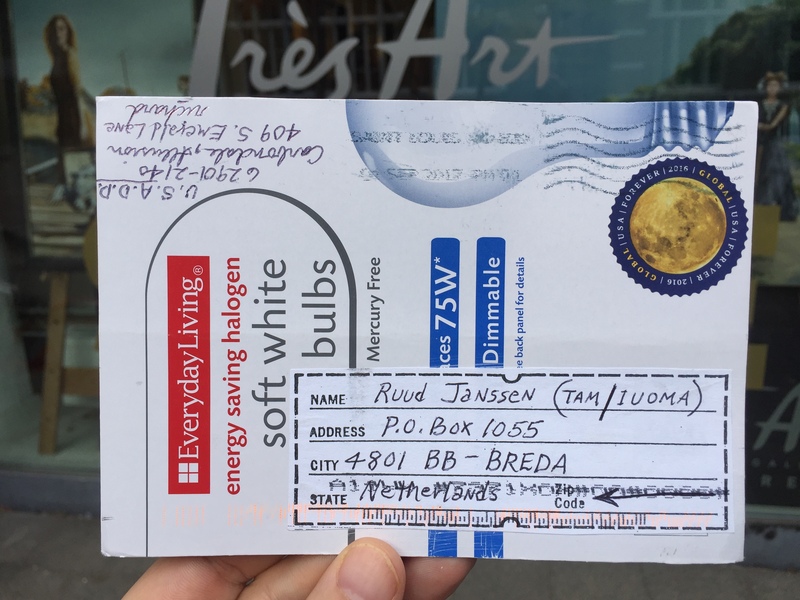 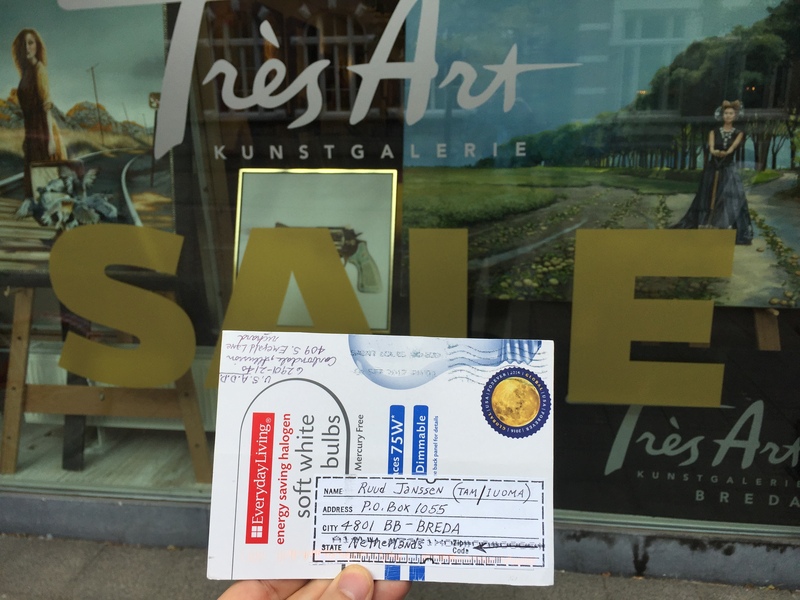 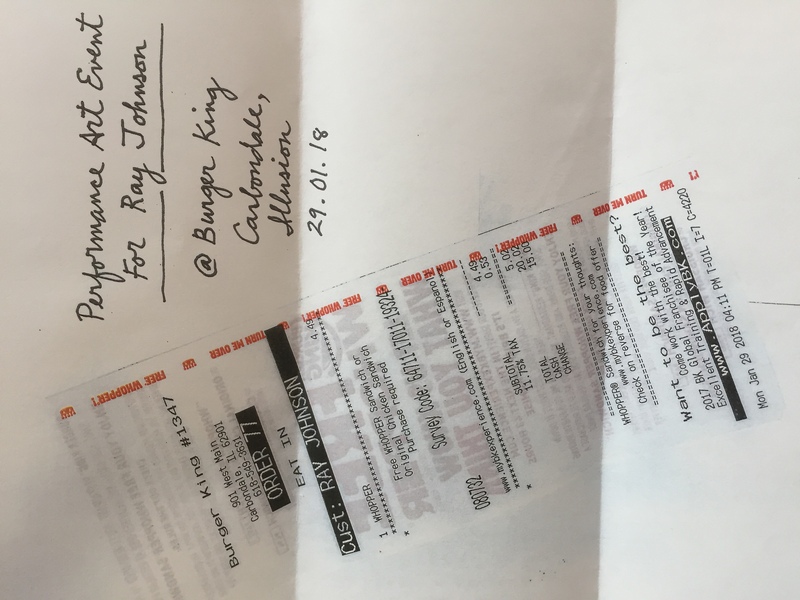 I made the photo’s of his card right outside the Postal Office (actually a copy shop wher PostNL has a place for input and output). 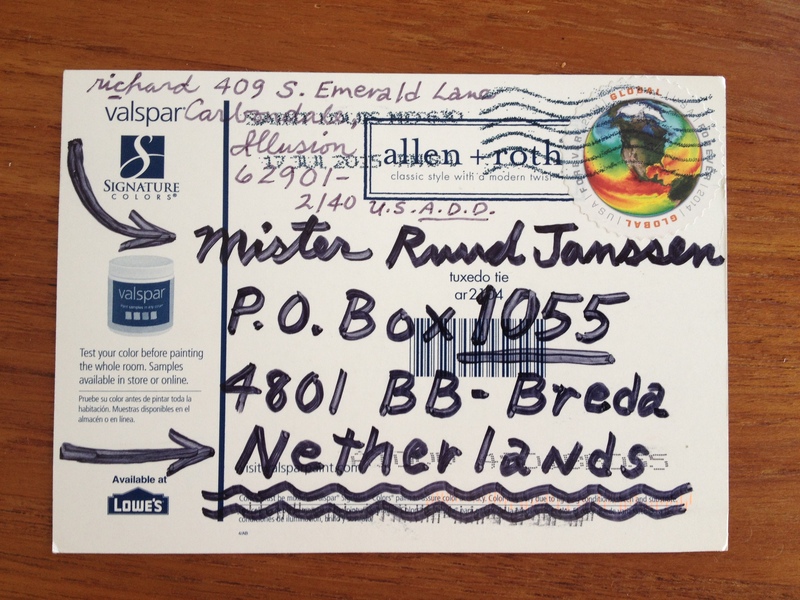 The neighbors are an Art-Gallery, and that gives some nice effects to this mail-art card for sure. The last card is visually atractive because Richard writes white on a black card…….. 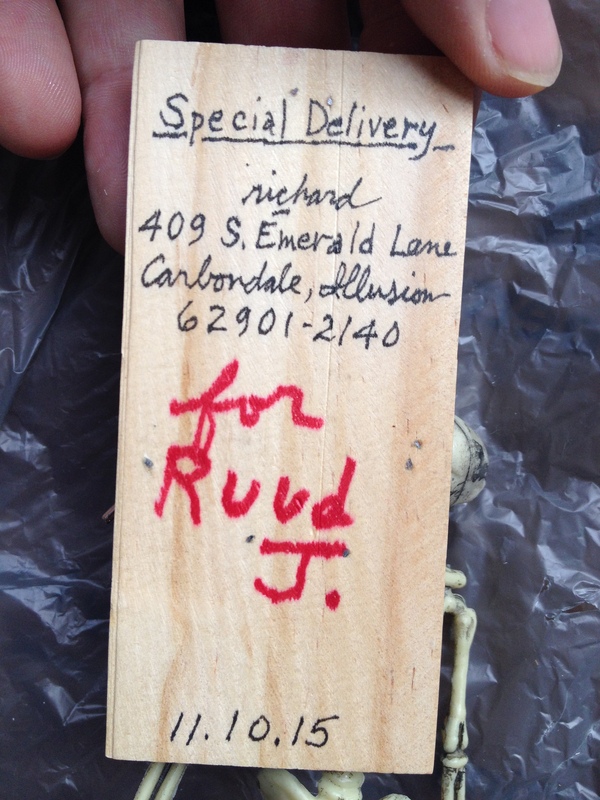 Specially choosen for me, so I am honored…. 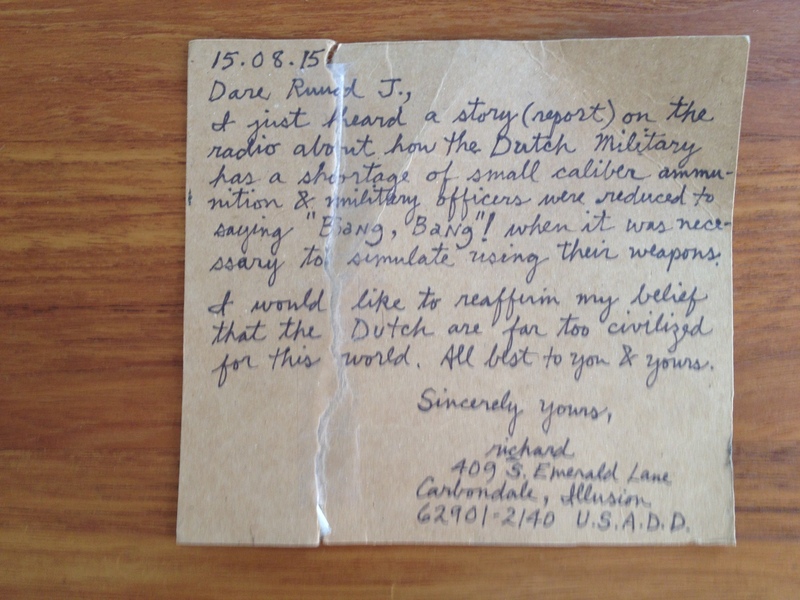 So have a look, and if you have received a card from Richard C. please include a digital copy in this growing archive!